Add all ingredients to an ice-filled mixing glass. Stir to chill and strain into a coupe glass. This delicious classic cocktail was first mentioned in the 1887 edition of Jerry Thomas’ book: How to Mix Drinks. As with many classics, the origins of this cocktail are fuzzy. 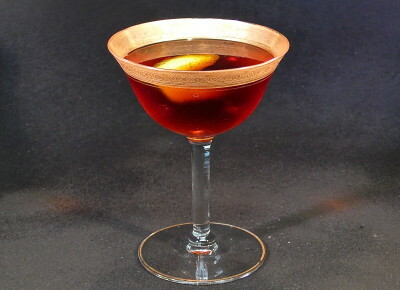 It most certainly is a take on the Manhattan – where the bourbon/rye is switched out for Gin (similar to how the gin in the Negroni was replaced by Bourbon to become the Boulevardier). 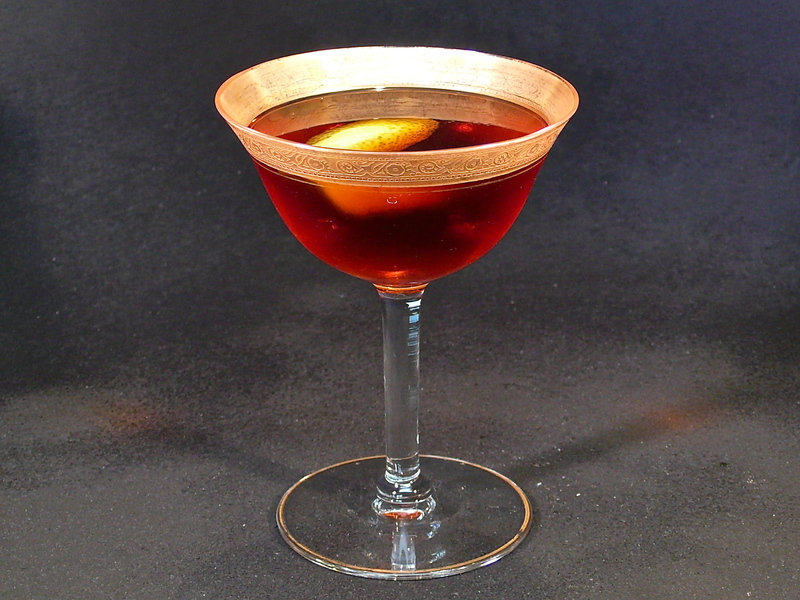 Many claim the Martinez is, in turn, the grandfather of the Martini. The classic Martinez uses Old Tom Gin which was popular from the mid-1800’s until it fell out of favor after prohibition. We are also utilizing Boker’s bitters (beloved by Jerry Thomas) because we wanted to make this drink as he would have originally, but you can substitute Angostura bitters if you like. 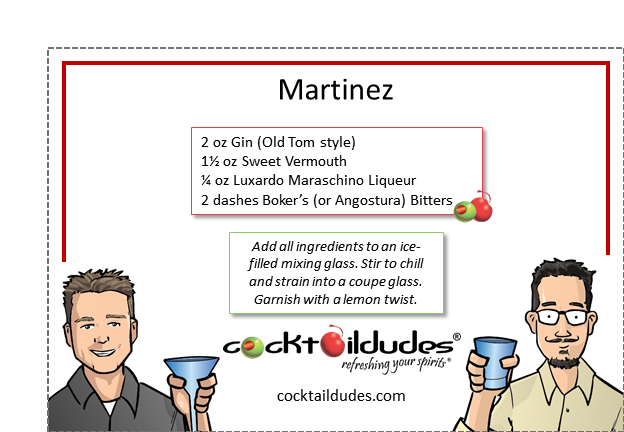 The Martinez is also a wonderful cocktail to age in a barrel, so see our Barrel-Aged version of this cocktail as well. Cheers!